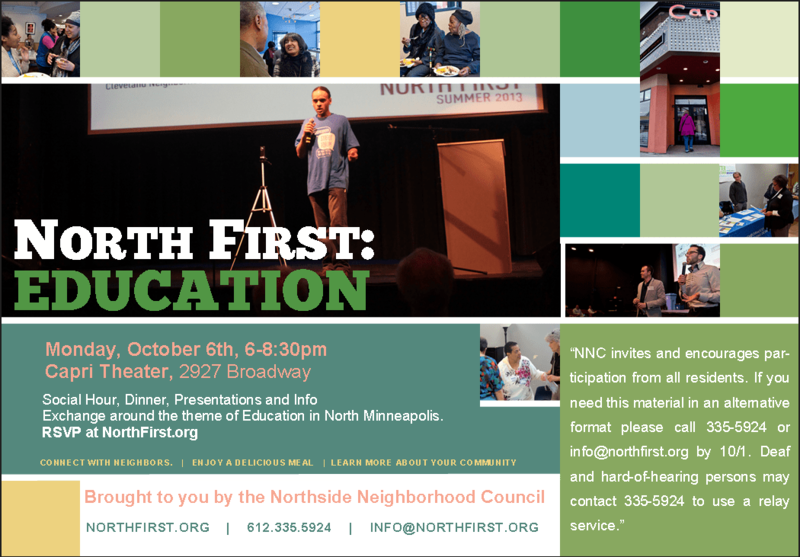 Join your neighbors this fall for our 2014 NorthFirst: EDUCATION social event on October 6th. This is a great opportunity to get to know other residents and neighborhood organizations and community, enjoy a delicious dinner, hear some great spoken word artist and hear some brief presentations about topics of interest to neighborhoods and residents. Come for a bite and stay for some conversation. Just make sure you RSVP today! Why can’t my son go from Henry to Harvard?